A Rhythm of Luxury & Convenience at Cadence On Center. 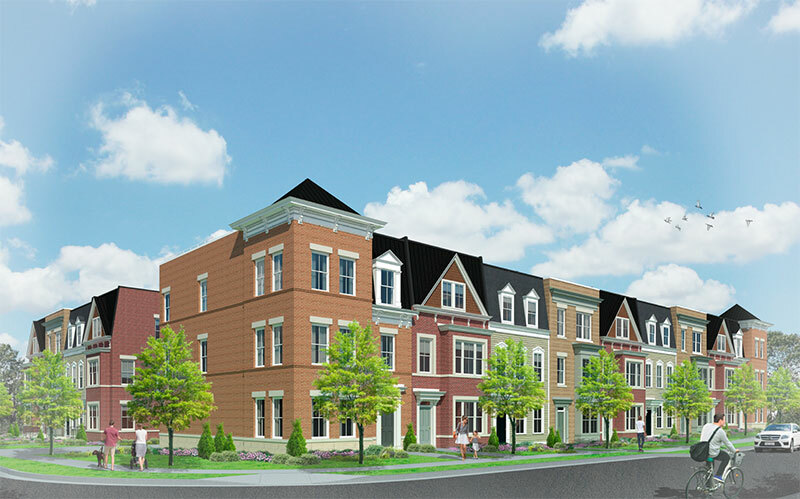 become neighbors, putting convenience front and center in this Vienna neighborhood. Inside the 17 luxury townhomes at Cadence on Center is a luxury standard that is customary in any Sekas Home. Floorplans are open, fixtures and finishes are fine and the quality of construction so precise, your peace of mind comes included, too. These four-story townhomes leave plenty of room and then some, ranging from 3-5 bedrooms and 4.5 bathrooms. With luxury going from floor to floor, taking you all the way up to a terrace set atop your very own penthouse floor. An optional outdoor fireplace extends the life of this space from season-to- season. It’s all new and all ready to help get your life back into a rhythm of luxury, convenience and connection. Find out more about the luxury townhomes at Cadence on Center. « What Can I Expect in a Sekas Townhome?